For all your panelbeater requirements in Matamata contact the team at Colin West Panelbeaters. We cater for a range of requirements including accident management and recovery, buffing, colour matching, custom work, fleet services and frame straightening. We can also assist you with insurance inspections and collision claims. Call to discuss all your panelbeating requirements today! 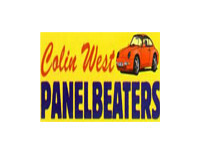 Colin West Panelbeaters Ltd are your go to for high quality panel beating services. We offer competitive rates, and we pride ourselves on our reliability and workmanship. Please feel free to contact us!